There are now millions of apps available in Android and iOS app stores, and consumers have grown to have high expectations in terms of performance, functionality and usability. In such competitive market there is little space for apps that are sub-par and that don’t run smoothly on the platform they have been created for, or cannot cope with frequent OS upgrades or new releases. For mobile app developers, there has been a shift in thinking recently, and the focus is now on creating mobile-first user experiences and looking at the future. This is due in part to the constantly fluctuating OS requirements and device fragmentation that has made it tricky for them to ensure that their apps create a consistent and omni channel experience for users on a variety of different devices. Until recently, developing mobile apps for multiple platforms posed many other challenges too. Multi-platform app development was time consuming and a drain on resources. It was also expensive, as everything had to be done at least twice, from the ground up. CEOs and startups that developed mobile apps have become well aware of the difference between speed and quality of iOS and Android, hybrid and native, but creating an app that worked seamlessly on all platforms was simply a much greater challenge than many wanted to admit, or address. That was until Xamarin arrived. Mobile app developers can now use Xamarin tools to write native iOS, Android and Windows apps with a native user interface. Additionally, they can share code on multiple platforms, including MacOS and Windows, ensuring a uniform experience is available across the board. This innovative software has clearly been a game changer in the world of mobile app development and according to Xamarin; over 1.4 million developers in 120 countries were using their software as of April 2017. Proof in itself just how much in demand this type of tool is. Xamarin has been described as a coder’s delight as it solves a vast number of the dilemmas that are faced when developing cross-platform apps. The issues of separate coding languages and UI paradigms fall away with Xamarin, as mobile app developers can use C# for Android, iOS and Universal Windows apps. This makes it all more appealing, but it only scratches the surface of the advantages of using this smart software tool. Let’s take a look at some of the advantages of using Xamarin and why it is changing the cross-platform app development with Synergo. 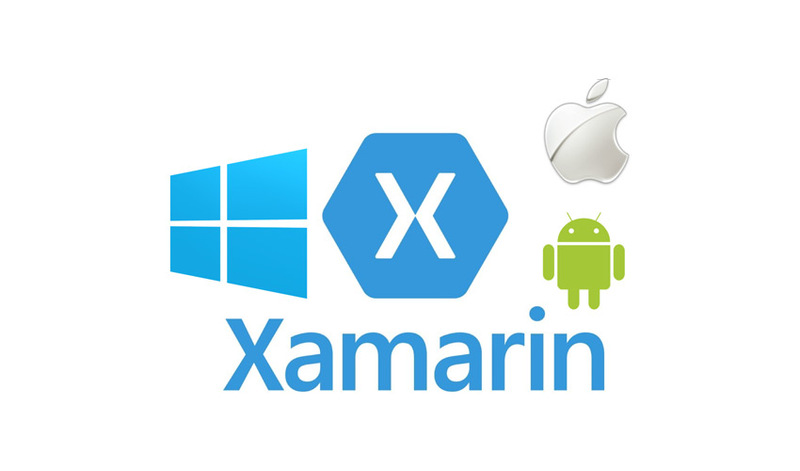 Xamarin boasts a number of features that streamline cross-platform development. It is these features that make it all more attractive to mobile app developers and to business owners and startups too. The fact that code can be written in C# and then ported to Android, Windows or iOS using Xamarin means that app developers do not have to learn new skills or master another language. They can simply draw on existing C# expertise, while still ensuring mobile applications work across the board. They do however have to be proficient in the way Xamarin works, but there are several training methodologies that oversee this. Xamarin also allows developers to utilise MVC or MVVVM design patterns, which means that the user interface can be developed using the Model, View, Controller pattern. This allows mobile app developers to determine which parts of an app will use the native user interface elements of an OS, and makes it possible to split the app into the core and user interface components. Providing the tools to build native UIs is another of Xamarin’s features and as each OS-specific app has a different user-interface layer this is an incredibly useful option. iOS app developers can use UIKit APIs to create native apps, and Android developers can use the OS custom platform. Windows app developers can use XAML for the presentation layer in conjunction with Blend’s UI designer or Visual Studio, and for Mac, Storyboard can be used with Xcode. This means that the UI design is seamless and that the time spent in production is shortened considerably. It is not just Xamarin’s features that make it advantageous, it is also the way in which it streamlines development and speeds up the process. We’ve already taken a look at the advantages offered by the software working with C#, but let’s examine what other advantages it offers across the board. In addition to the native app user interface, Xamarin makes it easy to share app code across multiple platforms. This makes it an integral tool for all mobile app developers and will potentially change the industry too. The back end integrations database interactions, web service calls and input validation are all coded using C#, and these facets can be shared with ease, regardless of what OS an app is being developed for. API integration is also something that has become quite tricky, with API’s needing to work across multiple platforms. 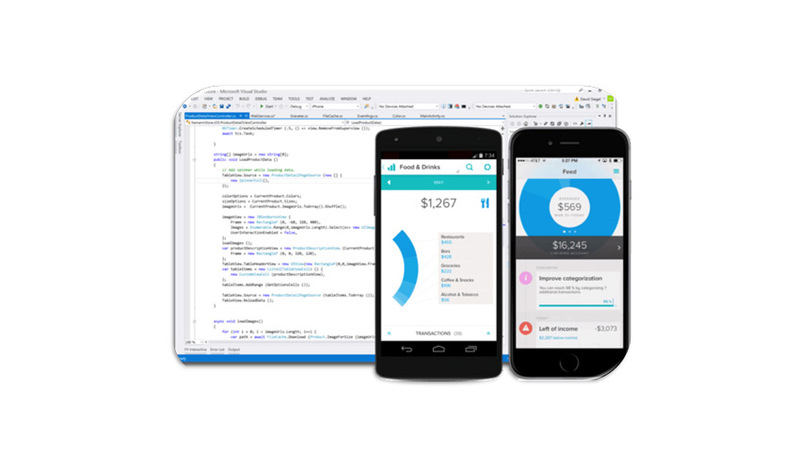 Xamarin allows mobile app developers the opportunity to combine API and UI controls in their platform-specific languages, and introduce them to the device’s OS without any changes required. This also speeds up the development process and ensures that only one API needs to be developed for apps for all platforms. In the case of API’s for banking or e-commerce-based apps, this is a huge coup. Rapid Mobile App Development, or RMAD is enhanced by Xamarin, and the software’s functionality highlights just why so many modern businesses prefer cross-platform development to native development. Accelerating app production and reducing costs are always a positive, especially when the end result is as good, or perhaps even better than before. The fact that Xamarin is able to develop a uniformly solid performance across platforms makes it doubly worthwhile and the enhanced user experience can only serve to drive profits upwards too. A faster, simple development process is always welcome, and RMAD may also stimulate startup growth and ensure that smaller app developers get their chance to shine. In addition to promoting RMAD, Xamarin also provides faster time-to-market, as code only has to be written once. This means that developers can complete a project in what is essentially half the time, and these profits are potentially increased right from the start. Smaller budget projects can also benefit from the shortened turnaround time, as resources can be directed elsewhere and less funding is needed to get going. If a project has additional funds assigned to development and costs are now reduced, these funds can be ploughed in elsewhere, and used in areas such as marketing, thus giving an app additional exposure. Xamarin not only reduces development time, it also reduces the time an app spends in the testing phase. There are fewer bugs when using this software tool as there is less code, and the less code, the less chance of errors creeping in. While there is still scope for error, the time frame to correct issues is shorter, as it only has to be done once, and not across each native app’s code. Xamarin software also includes Xamarin Insights, which keeps a record of crashes and exceptions, and provides mobile app developers with a real time reporting tool that allows them to monitor any issues during testing or beta phases. The more insight into an app and the errors that are arising the better, and this tool also reduces the workload and makes diagnostics much simpler. Xamarin is offering leverage to advanced technologies like C# and is proving mobile app developers and businesses with an all in one solution for applications. As competition is so stiff and there are so many apps being released within such a short period of time, a tool that allows for quicker development across multiple platforms is always going to be one that is worth looking into. The fact that Xamarin also allows for the monitoring of an app performance adds to its appeal and it has already helped a vast number of SME’s get a foot in the door in a very crowded marketplace. In the future, cross-platform development will more than likely be the norm, and Xamarin is sure to work as a constantly updating ecosystem, progressing with each new release of native OS updates or upgrades. There will surely be other similar software tools that will offer the same service in time, but for now, Xamarin seems to be leading the way. In conclusion, it is safe to say that Xamarin has created an ecosystem that mobile app developers can rely on and that it has fast become incredibly popular too. The biggest advantage of this software is that it allows app developers to use one coding language for all mobile platforms and that coding for Android, Windows mobile and iOS is now far simpler. It’s also far less labour intensive and there is now a one-size-fits-all solution that delivers on multiple levels. Undoubtedly, Xamarin is one of the most powerful and productive driven app development tools available today and it provides platform compatibility and functionality that several other hybrid app development tools can’t match. It has broken new grounds, and in the future it’s almost certain that more mobile app development companies will seek out Xamarin competent app developers to build robust applications that can run on native OS, without having to be individually coded. Synergo is a Canadian mobile app development company from Toronto. They produce high quality work on a regular basis and are able to adapt to any project requirements thanks to their experience on native and hybrid technologies such as Swift, Obj-C, Java and Xamarin, among many others. They have expanded internationally and opened shops all over the world: Germany, Brazil, Saudi Arabia, Romania, UK and US are some of the countries where you'll find them. What is the secret recipe for successful mobile apps?